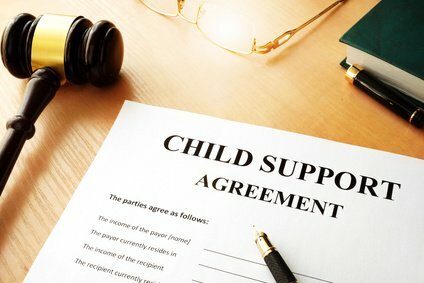 As is the case in most family law legal claims, either the Court or the parties can make the final determination of child support (or child maintenance). And, as is the case in most family law matters, it is usually best for the parties to make the final determination of child support because they know the financial needs of their children better than anyone else. If the parties agree to the terms of child support, they are not limited by the North Carolina General Statutes in the same way as the Courts, and, in North Carolina, agreements of the parties will be enforced by the Courts as long as the terms are legal and not contrary to public policy. There are certain cases, however, where the final decision has to be made by the Court, especially when the parties do not agree about the financial needs of the children. Whether the final child support decision is made by agreement of the parties or by the Court, it is best to have an experienced attorney help you with your child support legal matter. In North Carolina, the Court’s authority to make child support awards is limited by the North Carolina General Statutes. N.C. Courts calculate child support according to the North Carolina Child Support Guidelines set forth in the N.C. General Statutes, however, they can deviate from the Guidelines and determine child support based upon evidence presented by the parties in certain cases. Child support calculated by the North Carolina Child Support Guidelines combines the monthly adjusted gross income (AGI) of the parties, after certain allowed reductions are made to each party’s gross monthly income, to establish each party’s percentage share of income of the combined AGI and to set a basic child support obligation. Neither party is required to include in their monthly gross income, the monthly gross income of a new spouses or roommate(s). Self-employed parties often underreported monthly gross income and careful scrutiny is required to correctly determine their AGI for child support purposes. Once the basic child support obligation is determined according to the NC Guidelines, certain allowed adjustments may be made to it before the total child support obligation is determined. It is vital for there to be proof of the monthly amounts each party claims they pay for the following adjustments: work-related child care, health insurance premiums, and/or extraordinary expenses. The non-custodial parent (caregiver or guardian) adjustment will give the payor-party credit for the monthly amount paid by him or her for such adjustment, thereby reducing the amount paid to the recipient-party, but still requiring his or her total child support obligation to equal his or her percentage share of income. For the recipient-party, his or her child support “award” amount will be adjusted if he/she is paying work-related child care, health insurance and/or extraordinary expenses, however, he or she will not be fully compensated for the exact amount paid for the adjustment, even though the payor-party will still have to pay his or her total child support obligation based on his or her percentage share of income. If either party believes the amount he or she is paying or receiving as child support is too great or too little, it is smart to work with an attorney to evaluate the need for a deviation from the North Carolina Child Support Guidelines. The payor of child support cannot deduct his or her child support payments for income tax purposes and the recipient of child support does not have to treat child support as income for income tax purposes. It is merely a shift of income from one party to the other and is intended to be used for the benefit of the minor children. Let our Child Support Lawyers located in Harnett County, NC help you obtain the child support award your children should receive!